Founded in 1945, our company is specialized in find, replicate and trade Lancia car spare parts. Led from the founder’s grandson, our company is made up of young and active people who combine old seriousness and expertise with the liveliness of new motivations, qualifying us to meet the needs of the vintage car collector . Currently, our warehouse is made up of over 30,000 items divided into mechanic, body and electrical spare parts, and through this new site you will be able to view and choose the parts needed to restore your car. In recent years, driven by ever-increasing customer demand, we have expanded our range of products to Fiat and Alfa Romeo car parts. 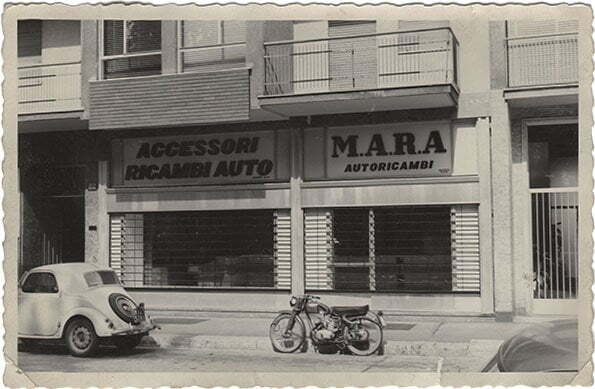 Now we are able to provide our distinctive service of competence, quality and efficiency in finding and selling Fiat and Alfa Romeo Spares for classic and off-production cars.